Japanese Green tea is famous around the world and tea ceremony is a well know cultural practice. 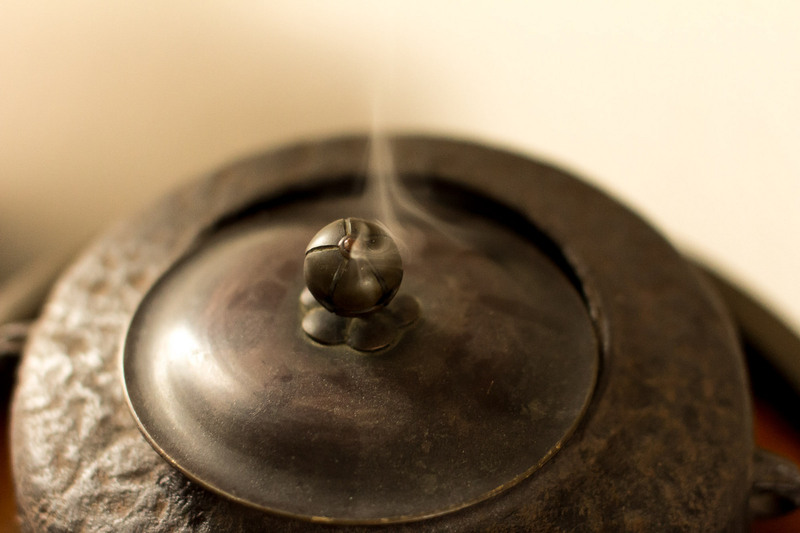 You many not know that even something as zen as tea ceremony can have a dramatic history. In 1591, during an unusual off-season thunderstorm, a tea expert committed ritual suicide (hara-kiri) by the command of the wealthy warlord Toyotomi Hideyoshi. His death and the story surrounding it are woven into a tale of green tea, pride, and envy. 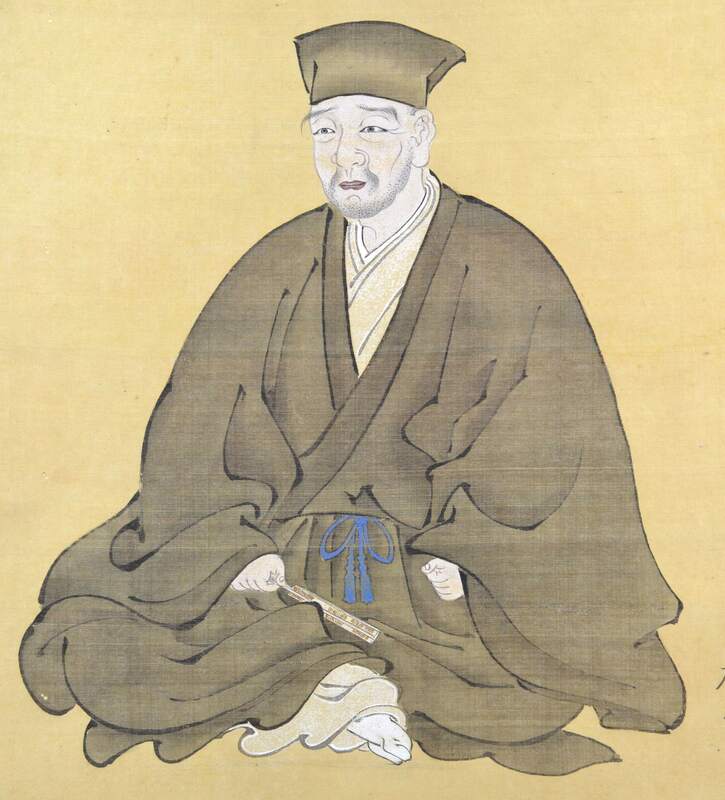 The tea expert in the story was Sen no Rikyu who, four hundred years after his death, still enjoys the reputation of being "the tea saint". Having followed the formality of conventional tea ceremony for a good part of his life, Rikyu later attempted to create his own style of tea ceremony under the rule of a wealthy lord, never expecting he would have to kill himself for the sake of his art. 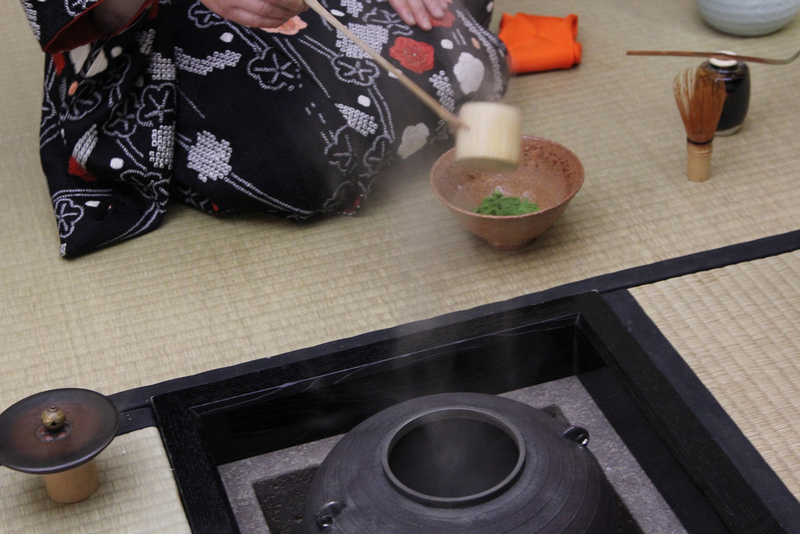 The way of the tea ceremony Rikyu established is known for its philosophy of subtle taste and elegant simplicity or wabi, as suggested in the teachings of Buddha. The original tea gatherings held by people around the 14th century had no connection whatsoever with Buddhism. Participants blind-tasted several varieties of tea to compete on how well they could tell good varietals from poor ones. Such gatherings were called tocha, which literally means tea fight, and were an occasion for gambling and carousing. 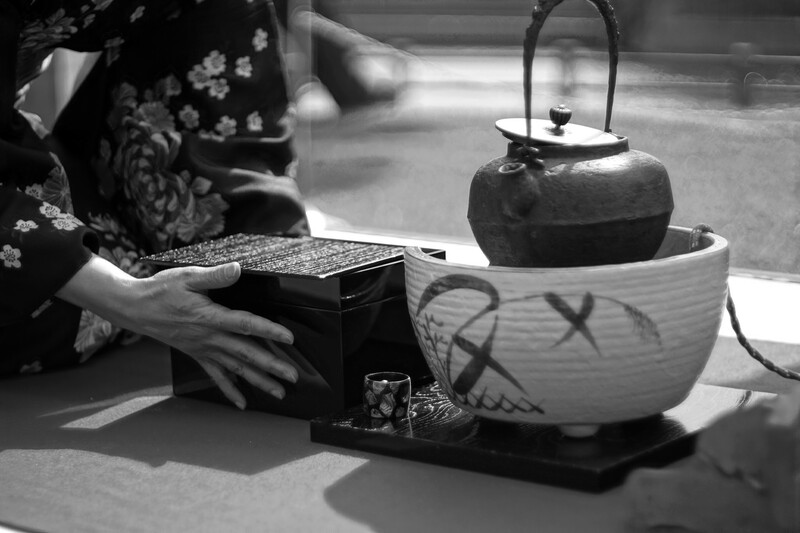 In the late 15th century the practice of tea ceremony was formalized and upgraded to an art form. By then, the ceremony had steered away from commoners to aristocrats who funneled their money into collecting resplendent and valuable tea utensils. Many of these luxury goods were imported from China. 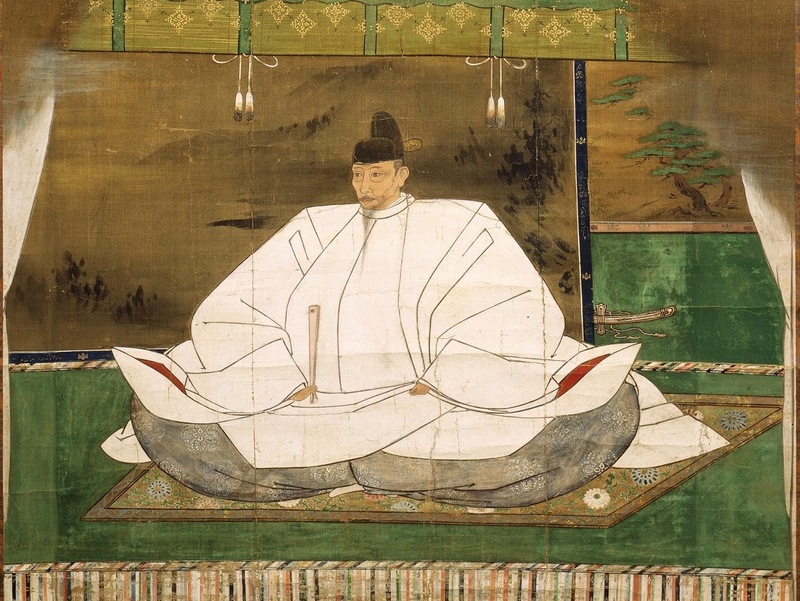 Tea ceremonies were finally connected with Buddhism when a monk called Murata Juko was appointed tea master for shogun or military commander Ashikaga Yoshimasa. Keen to establish a way of tea accessible to commoners, Murata emphasized attentiveness and courtesy, instead of magnificence, at the tea gatherings he held. 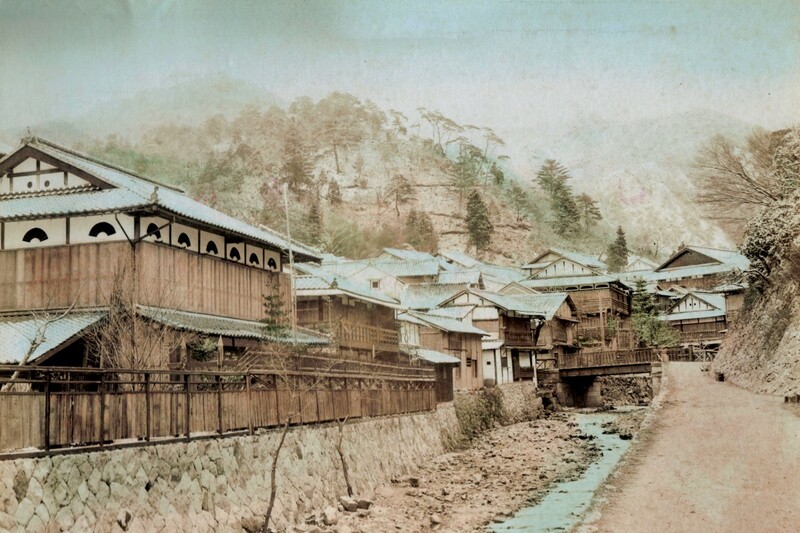 Murata also adopted the Buddhist custom of serving free cups of tea and opening a free bathhouse to the public. The spirit of his tea ceremony was passed down to Sho-o Takeno, who first adopted the philosophy of wabi, then to Rikyu, who further developed the idea. Born into a fish merchant family in 1522 in Sakai, a then-emerging commercial city in western Japan, Rikyu began to learn the formality of tea ceremony for aristocrats in his teens. He later became a pupil of Sho-o. The time period was during the age of provincial wars. Working his way through the troubled era to secure his social position as a tea expert, Rikyu finally reached an impressive level at around the age of fifty. The warlord Nobunaga Oda, captivated by the art of tea ceremony which enabled its learners to easily appear cultured, appointed Rikyu as one of his tea masters. About ten years later, Rikyu began his service to Hideyoshi Toyotomi after Nobunaga was assassinated. Rikyu was already in his sixties when he began his quest for tea culture and adopting the tenets of wabi based on Buddhism. Rikyu's tea utensils also represented the idea of the subtlety and simplicity. He preferred simple-looking, irregularly-shaped bowls to gorgeous, perfectly-shaped Chinese ceramics, which had long been part of tea ceremony. Above all, he pursued a way of the ceremony which encouraged people to lead a spiritually rich life. Rikyu believed this expression captured the Buddhist idea of wabi. Wabi was not to harbor a sense of lacking in the physical things one wants. Instead, focus on what one has spiritually. 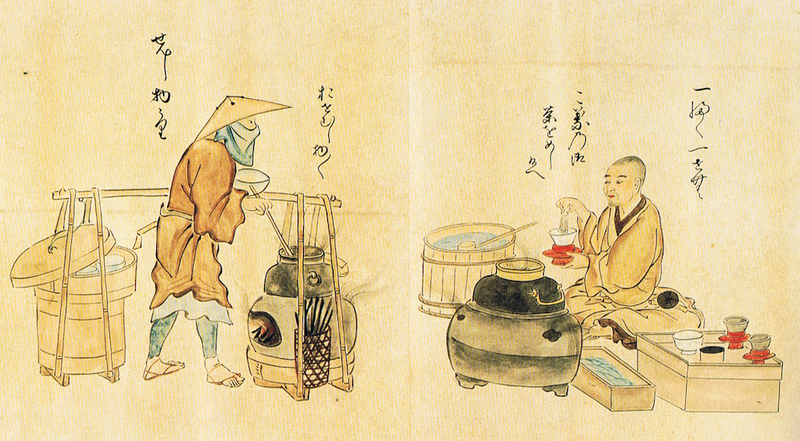 Rikyu also insisted that a tea expert be spontaneous and creative, and dismissed anything unoriginal. When his best pupils used a round tea kettle that looked like his, he said that they should use a square-shaped kettle that bore no resemblance to their master’s. He used a well bucket as a carafe, and a vegetable basket as a charcoal scuttle at his tea gatherings. He also loved simple flower vases made of bamboo. In time, however, Rikyu's pursuit of subtlety and simplicity began to conflict with Hideyoshi’s taste for gaudiness. The wealthy lord was a passionate learner of the tea ceremony. He was also a flashy performer who went to the extreme of having his new teahouse plated with gold leaf. Writer and historian Kozo Kaku, in his book about Rikyu, surmises that Hideyoshi adored and envied his tea master, and was desperate to establish his own style of tea ceremony as a symbol of his power. However, Hideyoshi’s liking for glamor and artificiality kept him from being on an equal footing with the tea saint. Rikyu, aware of his employer's desperation, deliberately used a tea bowl in black — a color that he believed represented a seasoned spirit, yet Hideyoshi disliked — at a gathering where Hideyoshi was present. Implying that the lord still had a lot more to learn, tensions between the two giants mounted. In spring 1591, about a month and a half after the gathering with the infamous black tea bowl, Hideyoshi ordered his tea master to commit hara-kiri. Two official charges were brought against Rikyu. One was his irreverent act of erecting a wooden statue of himself at the gate of a newly-built large temple. The other was his illegal act of setting an exorbitant price for a new tea set and selling it. However, what really prompted Hideyoshi to put an end to the tea saint’s life remains a mystery. Rikyu obeyed the command without resistance. Making his last tea for Hideyoshi’s emissary who was to deliver his head to the angry lord, Rikyu stabbed himself as told, during an early spring downpour. Rikyu is said to have predicted the decline of his art in ten years’ time. He thought that the tea ceremony would become too widely popular, a fad, degenerating into worldly entertainment. He believed the public would not understand the heart of the wabi philosophy. In reality, although the general public does not necessarily understand his idea of wabi, the tea ceremony style he established has survived up until today. Rikyu also failed to predict that he would be remembered as the greatest tea master of all time. Would you like to learn more about the art of tea, first hand? This tea store and tasting room sells tea produced in each of Kyushu’s seven prefectures: Fukuoka, Oita, Miyazaki, Kagoshima, Kumamoto, Nagasaki, and Saga.